Dasha Kalisz, instructor. All supplies provided. 1 Parent and 1 Child. 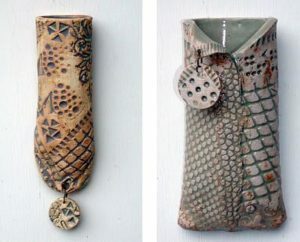 An adult must accompany each child.Create your own ceramic wall pocket for yourself or as a gift. Fee of $30 per couple is for 1 pocket. Add $10 for each additional pocket. 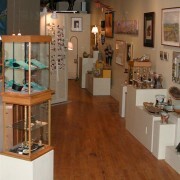 Dasha Kalisz is a ceramic artist and middle school art teacher at Otter Valley. She has taught art classes and workshops at Shelburne Art Center, Burlington City Arts, Helen Day Art Center in Stowe and La Meridiana International Ceramic School in Tuscany, Italy. Dasha enjoys working with students of all ages. She loves the personal connections that are made over creative problem solving. Reserve your space now by registering by November 30th at the Brandon Artists Guild 7 Center St, Brandon or by phone 802-247-4956 with credit cards during open hours. Sponsors welcome to cover supply costs.